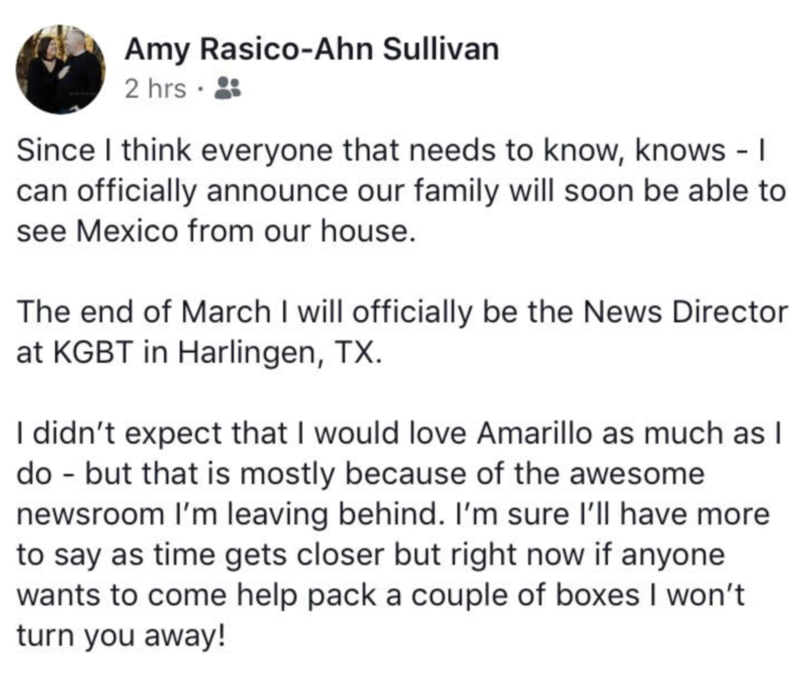 KVII (Amarillo) News Director Amy Rasico-Ahn Sullivan is leaving the Sinclair station and moving closer to Trump’s border wall. In a social media post, Sullivan says she is headed to another Sinclair station. She’s going to KGBT Harlingen, Texas.